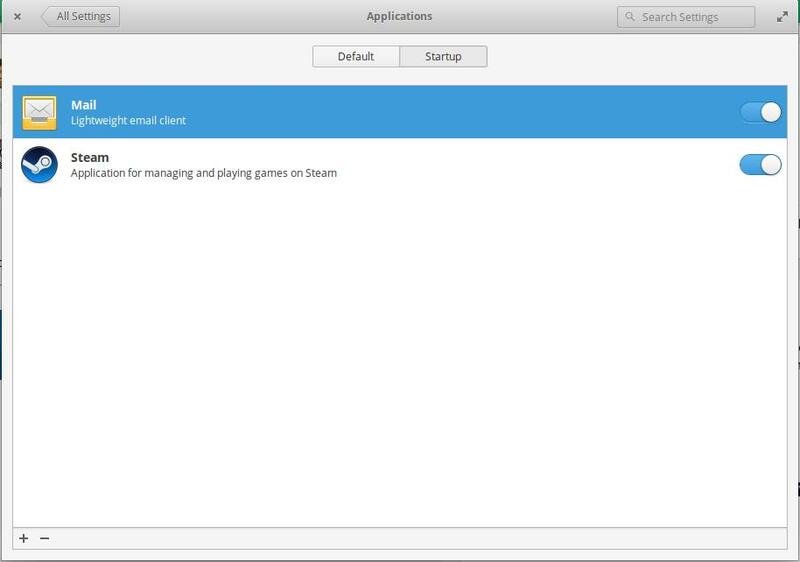 I've configured Mail and Steam to open at elementary startup, the only problem is that they open as regular apps(popup window), I would like to configure they to open in "background mode", so no popup should open at startp. It's possible to do that ? I'm not sure what you intend, but if you want Mail to run in the background without opening the window, just set Preferences > Always watch for new mail. And this way you can remove Mail from startup applications. Not the answer you're looking for? Browse other questions tagged release-loki or ask your own question. How to disable saved state for pantheon-terminal? How can I disable Airplane Mode? How to change my login background?